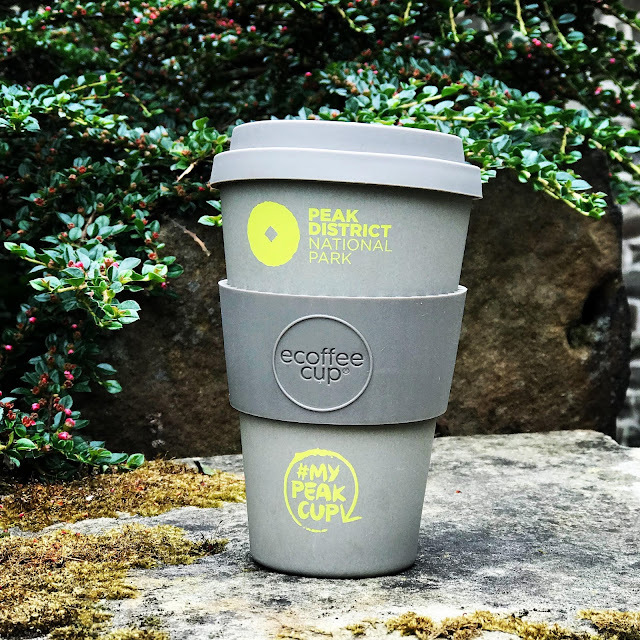 Help reduce plastic trash in the Peak District with #mypeakcup + giveaway! The anti plastic revolution is definitely real and palpable around Sheffield. It is great to see that not only people are becoming more aware of the issue but there is a real movement to protect our environments and reduce plastic trash. I am really pleased that The Peak District National Park Authority have made the pledge and started leading the positive change towards reducing waste in our beautiful National Park. And the first step? They have introduced their new Ecoffee cup as part of the #mypeakcup campaign. 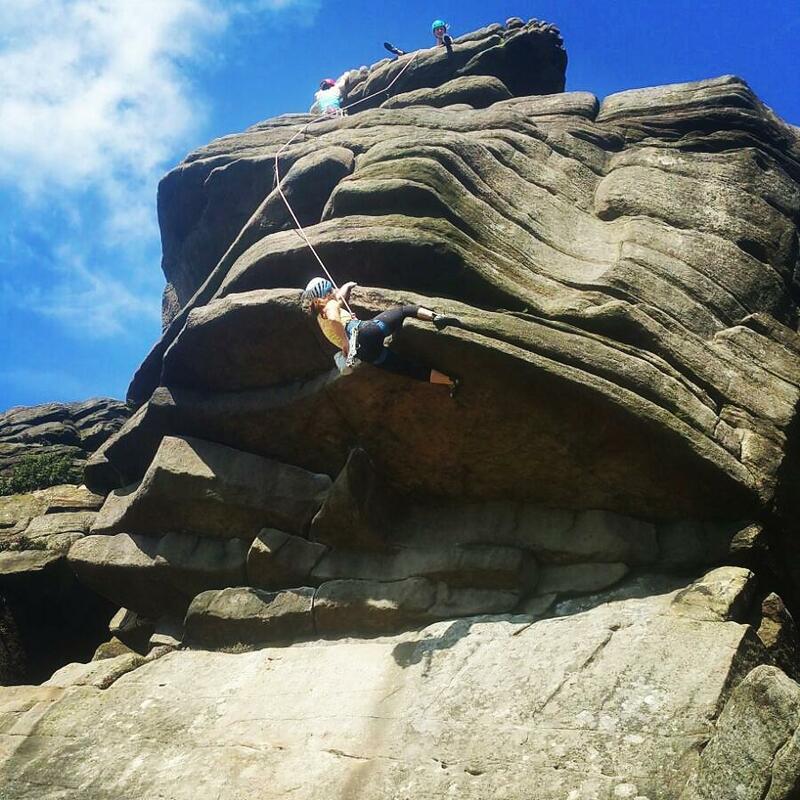 It is no secret that I spend the majority of my free time in the Peak District, either walking, cycling and as of recently- climbing. This is my happy place. I have had so many incredible experiences here and I am determined to preserve this amazing place for other generations. This is one of driving forces behind my own journey with Zero Waste and so I am really pleased that I can work with them to support this initiative. After I started plogging, I have become painfully aware that rubbish is a real problem in the Peaks. Bottles, cans, coffee cups and straws litter the sides of the road on some of the busy sections of the Park. Rubbish dumping is only one part of the problem. When you look further afield, it is apparent that trash which has been dumped without proper disposal is causing havoc in the environment, suffocating wildlife and polluting pristine eco systems. But the rest of the trash that we produce is not much better off either. Whatever trash is not recyclable, ends up in incinerators or worse landfills where it is leaching into the soil. China who used to take a big proportion of EU recyclable trash for recycling is now also refusing to take any more of what they call foreign garbage. This is creating issue for UK councils as to what to do with all of the collected recycling. So the trash is stacking up and it is quite obvious that we have a rubbish problem in many different areas. So how can introducing a coffee cup scheme in one National Park change all of that? Well, it is the first step. Changes on a big scale take time. The #mypeakcup campaign is a pledge and a recognition that there is something wrong with the way that we do things. So in my eyes, it is not really about the cup. It is the intent behind it and the cup is one of (hopefully) many more initiatives towards trying to make more outlets in the Peak District on their way to zero waste. I often talk about personal responsibility. It is no use blaming big corporations as you can't control what they do. You can only control your own actions. And I guess The Peak District National Park Authority is taking their share of responsibility as this is something that they can effect. So I am fully 100% on board with them and I am happy to support this initiative. By doing something simple like bringing your own coffee cup and having it refilled instead of using a new disposable cup when you are visiting with your friends and family over the weekend, can be a huge positive step. When choosing your reusable cup, opt for long lasting materials which don't downgrade in value when recycled like glass or stainless steel or use natural materials like bamboo. The problem with plastic (even reusable kind) is that it downgrades during recycling process and in order to create new products, you have to add virgin materials to it. This makes it a poor long term solution. Materials like I mentioned above are free from plastic and can be recycled at the end of their long life (or composted in some cases). Yes there are still resources which have been used in the process but the solution is a lot better long term as you save tons of cups from landfill and a new product can be made afterwards of similar quality. You don't have to buy a new one either if you have one at home which works perfectly well, buying unnecessarily is not the point of my article or their initiative! But if you are on a look out for a portable coffee cup, their new ecoffee cup is a really good option. Sometimes I see companies make changes which look like they are better for the environment but actually when you look into it, corners have been cut and the supposedly better change to a more eco product creates more trash in the process. (Think reusable plastic cups- yes they are better as you can reuse them but you are still left with a plastic cup at the end of the day). It looks like the team behind the project have really thought it through. You can find info on their website as to why they opted for this particular cup which creates transparency. It is made from sustainable bamboo and completely recyclable silicone materials and it can be properly disposed off after it eventually gives up. I have been sent one to try this week and I have been using it every day on my way to work, all the way to an evening climbing session. (There was quite a bit of climbing chalk on it by the of the week). The cup will now have a firm slot in my car so that I am never under prepared when I need a coffee for those long days on the crag. You can buy it in any National Park Visitor Centers and Cycle Hire centers or online . And where does the money go from the sales? According to the Peak District National Park Authority it will fund associated campaign to encourage use of reusable products, assist local business to do the same, and go towards the work in conserving and looking after the National Park which sounds a lot better than giving your money to a big corporation! You can also get a small discount when you purchase a drink in one of their outlets. (Check the website to see which outlets are part of the scheme). They have kindly send me a brand new cup to giveway so you can spread the message and never need to buy a single take away cup again. I though that this would be a good opportunity to give the team behind the #mypeakcup more ideas as to how to make their campaign even better. So all you have to do is comment on this post with your suggestions as to how to make the Peak District more environmentally friendly or Zero Waste or give any other suggestion that would help the Peak District lead the way in environmental protection. I will make sure that all of your suggestions will get back to them so that they have plenty of ideas that they can implement! I will choose a random person from the comments. You don't have to be based in Sheffield to suggest things either. The entries will close on Sunday 24th June. Lovely post, I agree 100%. The magic happens in the small steps towards self-realization that we must take care of our nature, every single one of us. Great campaign by the way, fantastic ideas. You can read more tips and information on this site. The blog gives you such feelings that it’s only written for you. Hi and welcome to Poppy Goes Wild! My name is Dom and I am based in Sheffield, UK. I write about Adventures and Zero Waste and everything in between. © Poppy Goes Wild. All rights reserved.